You know the pregnancy cravings that come when you’re carrying your little one inside you – they come unexpectedly and with an unprecedented mix of different foods. And while some are controllable and make sense, other cravings can wake you up at various timings in the day and make you crave some of the most insane concoctions. Depriving yourself of food or your cravings is not a good method if you’re planning on having a healthy pregnancy and healthy baby – with some mothers sticking to a vegetarian diet and others binging on junk food, it really all depends on your lifestyle. 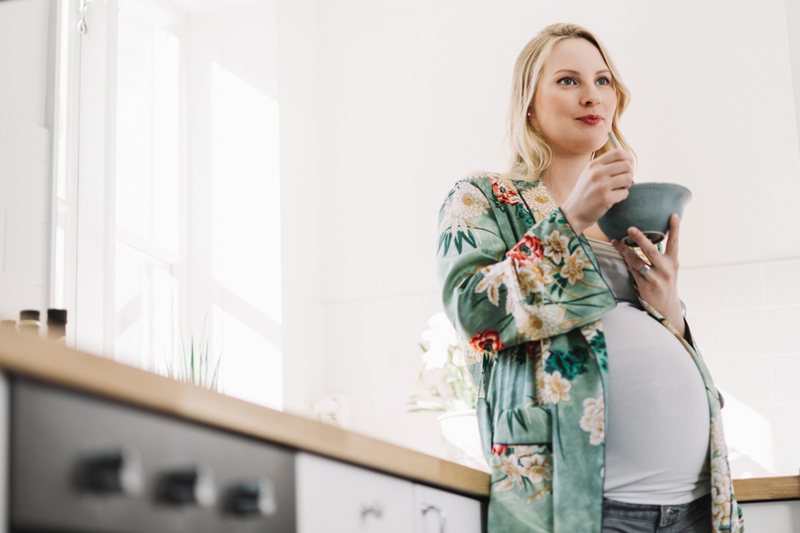 There’s no specific manual when it comes to how you should deal with your pregnancy diet – but there are some useful advice and tips to incorporate into your existing diet. And in the past, most mothers would shy away from incorporating fish into their diet in fear that it might affect their pregnancy can now rest easy as it is now proven to affect their pregnancy – but positively. Pregnant women are always reminded of the importance of their diet and lifestyle choices when it comes to their baby’s development – a mother’s diet during pregnancy and breastfeeding is the beginning of a valuable foundation to the baby’s health. A diet rich in fatty fish provides a long-chain of fatty acids that help maximize the baby’s brain growth during the first years of the child’s life – these fatty acids also help shape the nerve cells found in the baby’s retina. The nerve cells are shaped better with the help of fatty fish and can improve eyesight in the retina – so your baby’s eyesight development actually increases. The nerves also help form the synapses responsible of transporting messages to the nervous system. For your baby’s best chances of development with the help of fatty fish, mothers should opt to eat fish three times a week. An observation done to mothers who did so in the last trimester of pregnancy, had healthier diets and blood serums than those who didn’t eat as much fish during their pregnancy. Also, the baby of a fatty fish diet had better blood levels by one month of age. Constant research on baby developments explore how shifting the mother’s diet by adding or removing an ingredient can help them lead a healthier lifestyle for them and their baby. Adding fatty fish into their diet is another example – the frequent consumption of the fish helps the baby’s acquisition of long-chain of fatty acids, vitamin D and E.
It’s important to keep in mind that it’s advised to have fatty fish that are low in mercury levels – opt for salmon, tilapia, shrimp, tuna, cod, catfish and try not to exceed more than 6 ounces per week.